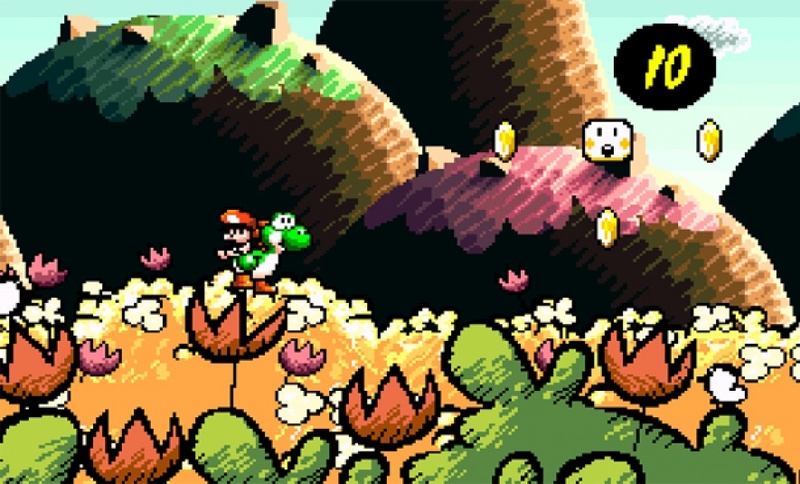 Super Mario World 2: Yoshi’s Island (SNES) – Ah the sequel that time forgot. Not only is Yoshi’s Island an impressive showing of what the Super FX2 chip could do without polygons, it’s also a rare title today. You’ll find plenty in the wild, but at a premium price. Collectors aside, there’s no good way to play this game on any console other than an SNES as it never went to Virtual Console, the one other port on Gameboy Advance is plagued by effects issues and framerate drops (this was worsened by the Virtual Console re-release of the GBA port), and due to the Super FX2 chip it doesn’t even play in a flash cart. Sure there’s emulation, but most of the time I want to play the definitive version on the actual hardware, so I have to buy the cart. If you look online the prices on eBay and Amazon start around $40 (with shipping) for cart only with damaged label and often “as is” condition, meaning that if it doesn’t save that’s not the sellers problem. GameStop has it for $29.99, which goes down to $26.99 if you’re part of their rewards program. Shenmue II (Xbox) – Shenmue is a game series I don’t get the mass appeal of. I tried it (click on the link to see the whole playthrough and my review), but it just fell short for me. We did get the sequel, which originally released on Dreamcast in Japan, but it’s only on the Xbox and since the announcement of Shenmue III has jumped a bit in price. Heck, the Xbox version even comes with a second disc DVD that allows you to watch the plot of the first game in an edited video. If you want to get the game and the video, however, it’s gonna cost you a bit more. While the game is typically around $20 disc only, often you have to get closer to $25 or $30 to get the second disc. GameStop’s price is $14.99 ($13.49) and I got the DVD and even the case (case is not guaranteed). 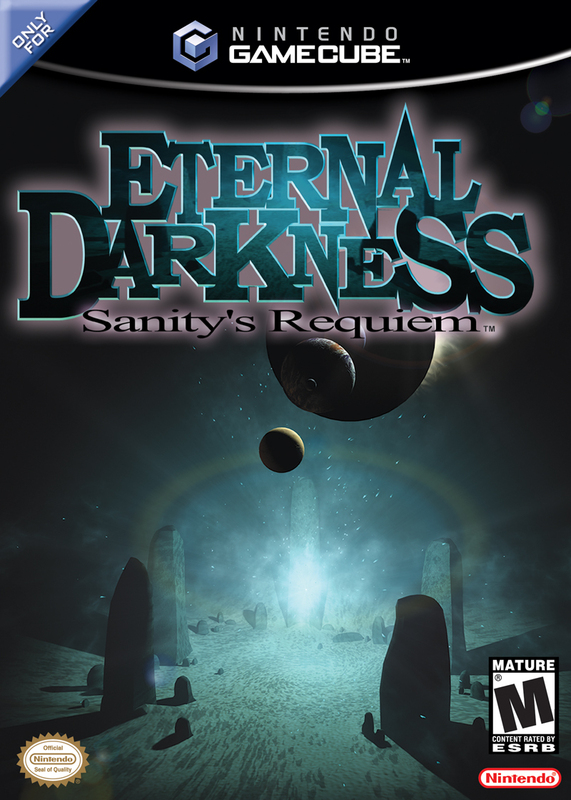 Eternal Darkness: Sanity’s Requiem (GameCube) – I used to scour the used store for a copy of this game. Not only is it a great horror title on GameCube, but it’s the only universally loved game that Silicon Knights ever released. Okay, there’s also the first Blood Omen, but still. It’s never been that expensive, usually migrating from $15-$25, but as of late both Amazon and eBay seem to have bumped it up to more like $35-$40. Sometimes I see a disc only copy for about $25 randomly, but GameStop has a set price of $25 ($22.49). There are even sales. Right now a flash sale has discounts on Star Fox 64 ($12.99/11.69), Final Fantasy VII ($9.99/$8.99), Conker: Live and Reloaded ($17.99/$16.19), and even Metal Gear Solid for $3.99/$3.59. That’s just some of the many popular games you can nab on the cheap. So as I said, it’s not that GameStop is the end all be all. Far from it, the company has some serious issues and treats none of these games with much care, which is why collectors should steer clear. On the other hand, if you just need a game to go back an play for nostalgia and you’d like a price that isn’t reflective of someone giving up a coveted part of their collection, GameStop can be an answer. Just something worth taking a look at if you haven’t already. I think I’d rather just emulate instead of giving Gamestop any more of my patronage. The mom and pop places are fewer and further but they’re much better. Oh how I loathe the word “nostalgia”. Is that truly the only reason to replay an older title? Well, in that case you never truly liked it.